I have heard it said that books open the world to students. This month our tech tool proves that saying to be true. In honor of Read a New Book Month (happening every December), I chose a tech tool that related to reading books. Reading Treks, a TeachersFirst original, offers students the chance to visit the world through stories. Treks are an engaging and immersing experience for the reader as they make connections using maps and their pop-ups of interesting information. What a powerful tool! Visit the About TeachersFirst Reading Treks link to read all of the amazing details. Reading Treks are ready to go units that include both fiction and informational texts. There are Treks available for various reading levels. Reading Treks go beyond basic knowledge and help students to gain background knowledge about what they are reading and where the story takes place. Each unit includes some teacher time-savers, tips, and must-haves. 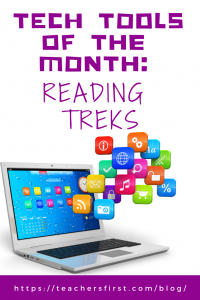 All of the Reading Treks include a downloadable Instructional Strategies PDF with ISTE standards, Common Core state standards, grade level suggestions, age suggestions, reading levels, and more. The best feature of the downloadable PDF is the activities and ideas. Each Trek is chock full of fresh technology integration ideas and engagement activities (some using technology, and some not). You can decide which activities will work best in your classroom. Use these activities for differentiation options with your students. Another fabulous feature of the Reading Treks is the Maps. Each Trek includes a map link to a Google Map and also a KMZ file to a Google Earth Map. You can choose which map you prefer to use. The maps are layered, meaning you can open layers to explore various map markers, images, links to more information, and other neat features. Reading Treks truly takes your students to the setting of the story. If you aren’t familiar with the mapping tools, view the TeachersFirst Review for Google Earth or the TeachersFirst Review for Google My Maps to learn more about the mapping tools. Take a look at our list of books included in our Reading Treks. We are just in the beginning phases of this unique adventure. If you have a suggestion for a book that should be included, be sure to select the Suggest a Trek link. We would love to hear your suggestions! So now that we talked about what Reading Treks are, let’s discuss ways that you can use Reading Treks in the classroom. We have included books for all grade levels, so find the books that work for your level. Don’t forget that each Trek has the Instructional Strategies PDF with several classroom activity ideas. That is an excellent place to start your journey of discovering Reading Treks. Share the activities with your students and let them help to choose the activity for the book. These units are ideal for whole-class reading or literature circles. They also work well for individual reading choices. 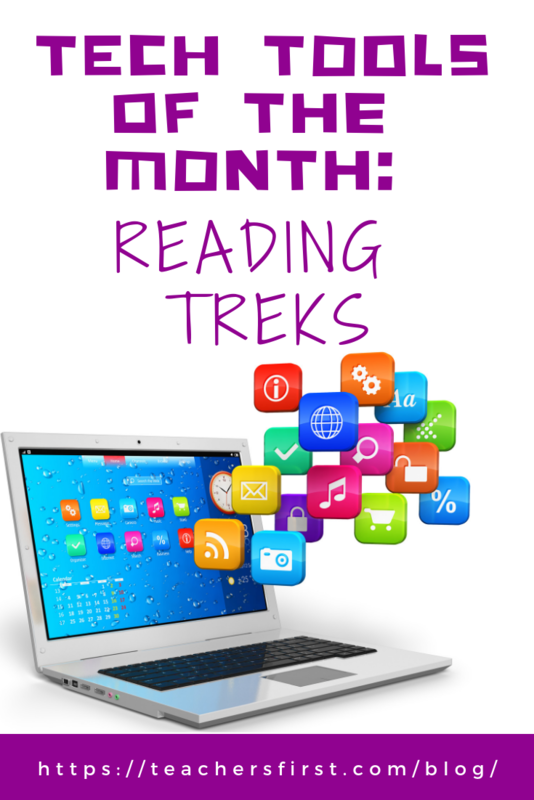 Share the list of Reading Treks with your class and take a poll to see what reading journey your class will take next! Challenge students to keep journals or blog entries about what they have read as you discover a new book together. If students are reading independently, be sure to find one of the activities listed to use as their final assessment of the reading project. Take Read a New Book Month to the next level and try out a Reading Trek; what better way to start a new year, than in a new location (thanks to a great book)! Previous Previous post: Happy Holiday Reading!